Nedap Security Management has developed its Global Client Programme as a new way for multinationals to streamline physical access control. The manufacturer describes the solution as a progressive project rollout system managed by Nedap. Companies are using The Global Client Programme to easily implement, maintain and update AEOS (Nedap’s access control system) across multiple international sites. Nedap takes care of project management and local coordination centrally, with the support of local installation and service partners. The manufacturer states that the key benefits of using the programme rather than handling a global security rollout internally are the ease of achieving both international standardisation, flexibility, scalability, cost efficiencies and faster implementation. 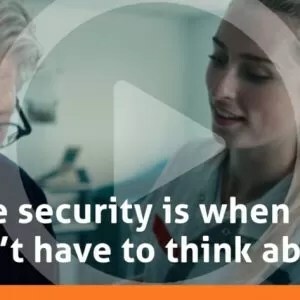 In related news, the manufacturer has also unveiled its new brand tagline “security for life”, something which it states has helped to drive recent initiatives such as AEOS performance optimisation as well as the Global Client Programme. Recently, Nedap modified and adapted 30% of the AEOS codebase and re-writing more than 3 million lines of software code. The result is sees performance improvements that are, for example, preventing delays during peak periods and enabling customers to expand their systems without hindering performance. “Our world is changing more quickly every day,” said van der Zee. “To give our clients security for life, we not only respond proactively to changing circumstances we stay one step ahead. We’re continually developing AEOS innovations and optimising its performance. Nedap Security Management has developed its Global Client Programme as a new way for multinationals to streamline physical access control.